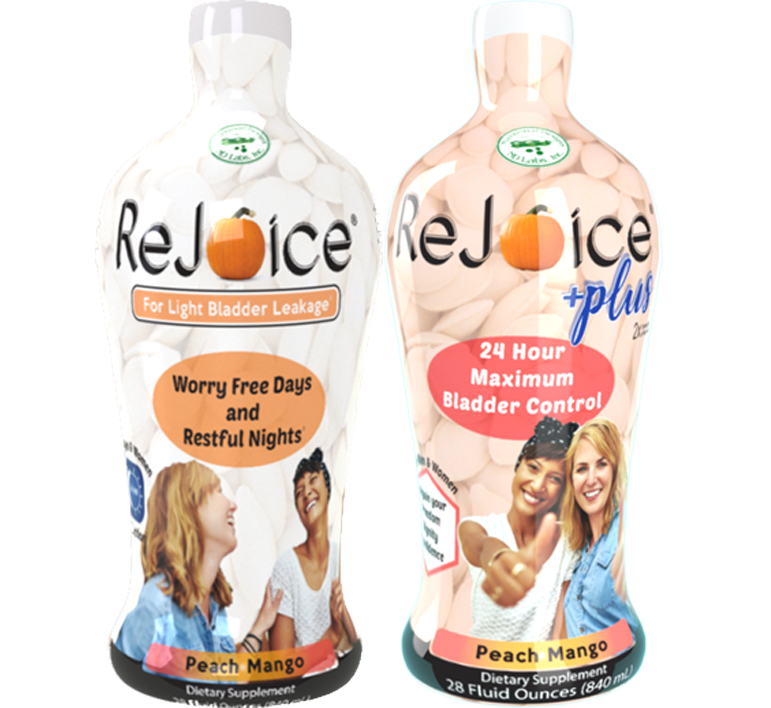 New OTC liquid formula ReJoice® tackles the subject of incontinence, and wins BIG! ReJoice®'s success is based on the additive benefits of its clinically proven five all-natural active ingredients. ReJoice®'s patent pending formula contains HyperPure Pumpkin Seed Extract, which contributes to bladder control and health for men and women, as well as mitigating prostate issues in men. * Lead pharmacist at Nutritional Designs, Inc., Mike Allen, R. Ph. spent three years developing this signature blend. Roughly one in three women of varying ages experience incontinence at some point in their lives; many postpartum women experience leakage from the pelvic floor dropping during a vaginal birth. Incontinence can also be due to pelvic floor dysfunction, low Vitamin D3, constipation, Diabetes, BPH stages I & II (enlarged prostate), and contribute to many other deficiencies. ReJoice® takes all of these conditions into consideration. ReJoice® is offering a special introductory promotion to buy two bottles for the price of one! Use promo code BOGO18 at checkout on ReJoice4OAB.com. Nutritional Designs, Inc.'s clinical dietitians and registered pharmacists have extensive experience designing nutritional products for the healthcare industry for over 33 years. 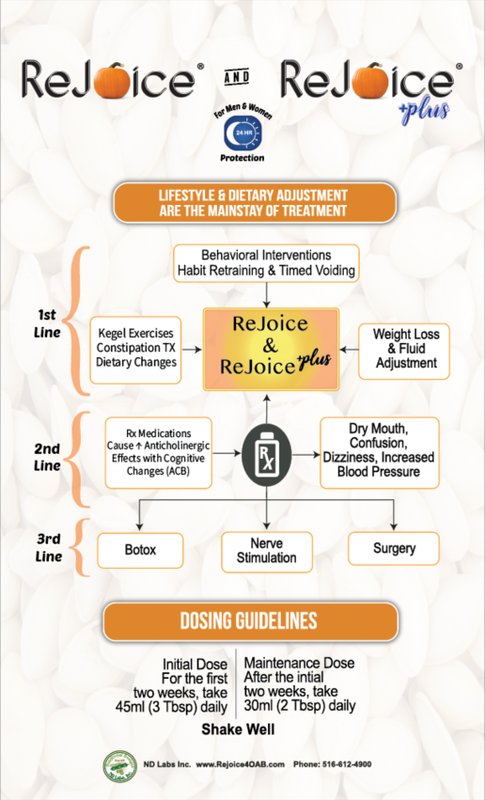 To learn more about ReJoice®, Nutritional Designs, Inc. and issues pertaining to incontinence, visit their website here. The Incredible Incontinence Interceptor Rejoice® Now in Sugar Free!